The form from the Group Three Spring Stakes at Newcastle has already been franked by the success of third placegetter Greysful Glamour in the Oaks Trial at Flemington. The two Godolphin colts who finished in front of the Mark Newnham-trained filly at Newcastle now head to the Group One Spring Champion Stakes at Randwick on Saturday. 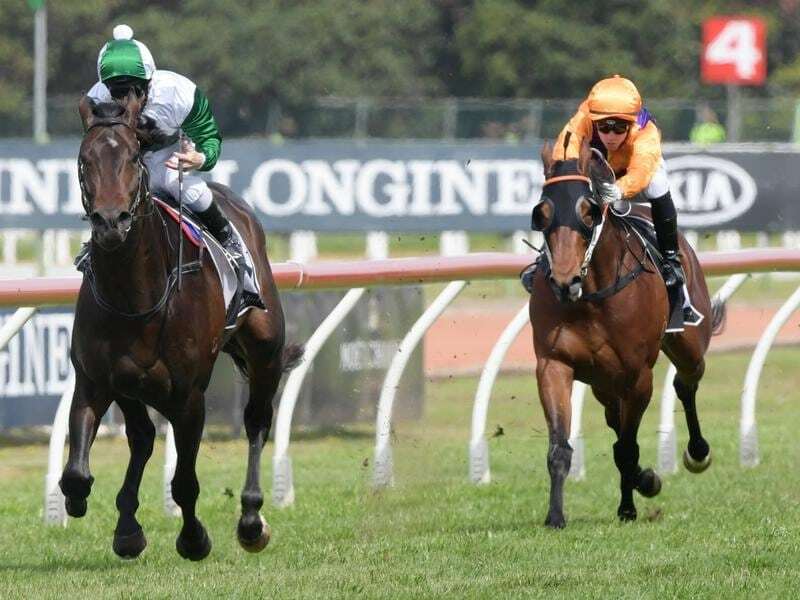 Aramayo, the winner at Newcastle, goes to the 2000m-race for his first start since the Spring Stakes (1600m) while Cloak will be trying to improve on his unplaced effort in last week’s Dulcify Quality at Randwick. The Dulcify was won by Lindsay Park’s Mickey Blue Eyes who is also set to back up seven days later. The Gai Waterhouse and Adrian Bott-trained Gloaming Stakes winner Thinkin’ Big is the $3.50 favourite for the Spring Champion while Aramayo is a $7 chance. Cloak is at $51 after his failure and is also entered in the Listed UCI Stakes (1800m) at Flemington on Saturday for which he is at $23. “He needs to be better behaved and more focused if he’s to perform at his best,” trainer James Cummings said. Cummings is more upbeat about Aramayo. “He’s kept building up in condition in the past three weeks,” he said. Aramayo is on the third line of betting at $13 for the Victoria Derby (2500m) on November 3 with Thinkin’ Big the $7 favourite alongside Golden Rose winner The Autumn Sun who is unlikely to run. Waterhouse has indicated Thinkin’ Big could head to the Melbourne Cup if he can win the Derby.